Pros: Students can import content from multiple sources to use in their presentations. Cons: Fewer features than the subscription-based Explain Everything app. 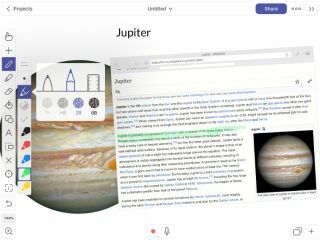 Bottom Line: While this app lacks the options of the full-featured Explain Everything app, teachers and students can still make powerful presentations.